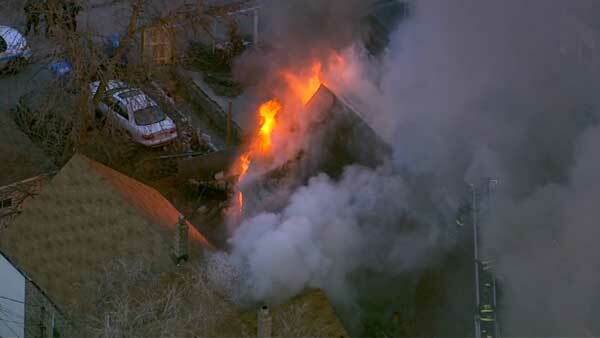 CHICAGO (WLS) -- Firefighters responded to a blaze at a home on Chicago's Southwest Side. Flames broke out at a three-story building near South Troy and West 19th streets in the city's Lawndale neighborhood. Smoke was seen billowing from the home around 7 a.m. Wednesday. The fire was struck around 7:30 a.m. Chicago Fire Media tweeted Wednesday morning that six adults and two children were displaced.